Sometimes line item lists on the menu can be misleading which can make the diner feel ignorant or uninformed enough to order something risky on the menu. 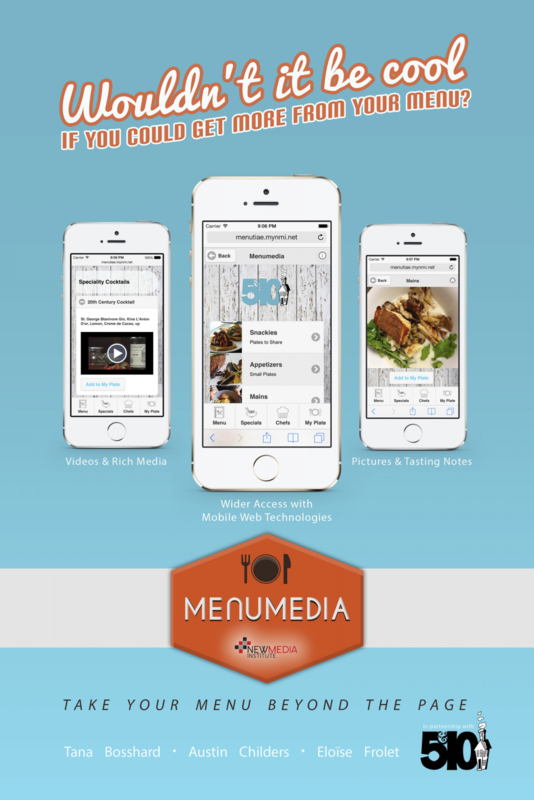 Menumedia breaks the barrier between restaurant patrons and the menu. Instead of feeling lost or confused when ordering, the diner can order with conﬁdence. Menumedia is a mobile application that enhances the ﬁne dining experience by taking the menu beyond the page. The easy and cool part about Menumedia is that diners will be able to walk into a restaurant, pull up the app, and with image recognition technology they can explore a virtual menu with rich media content. The app expands upon menu items by including beautiful images, detailed descriptions explaining the food, and potential pairings. Menumedia will be working with 5&10 to create a beta version of the app. The restaurant will be contributing professional images, interesting information regarding the food, and potential wine pairings with each dish.